Deluxe Quad Split is one of the most exciting combinations of exotic wood within the laws of physics. 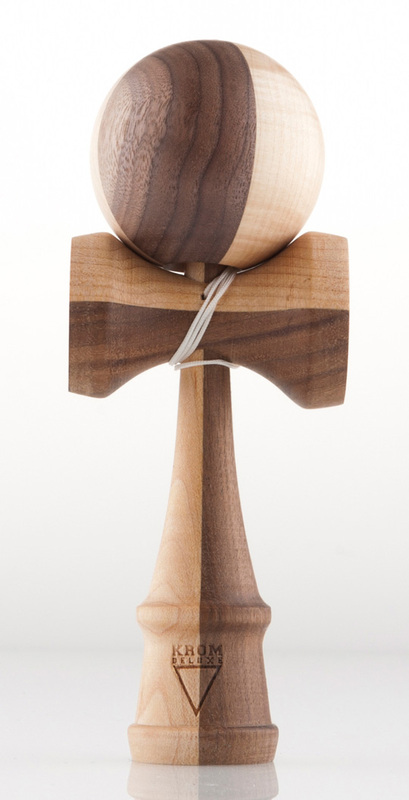 Both ken and tama alike has been crafted from the most durable bright maple and warm walnut corewood. Straight of the box it is extremely beautiful as the two woodgrains compliments each others beauty so well. The precise hand-sanding and oil treatment gives it an amazing shine, which pulls you towards it over and over again. And the performance is even better then the looks. It really grows on you, and after a short while of "playing it in" it really becomes a machine made for all sorts of tricks.